Powers & Powers, P.A. is an experienced Baltimore Attorney firm, protecting, helping and guiding families and individuals with over 50 year of representation as an experienced Baltimore attorney. Fighting For The Justice You Deserve! With over 50 years of experience in personal injury cases, our Baltimore attorney services are committed to protecting your legal rights and delivering the financial settlement you deserve for any medical malpractice, accident, personal injury, lawsuit, or wrongful death claim. We Work Closely With You To Help You Earn Everything You Deserve! With worker's compensation, its hard to know when to need an attorney. Baltimore's Attorney can help you decide the right course of action with your workers compensation claim. Let Over 55 Years of Legal Representation Experience Work For You! The success of your case will depend greatly on the skill level of the attorney chosen to represent you. It’s imperative that you choose a Baltimore lawyer that works hard to understand the full scope of your rights. In matters of proactive pursuit; Workers Compensation, Medical Malpractice, Estates, Contract, Domestic, or Personal Injury - including accidents, auto, truck and motorcycle crashes - why procrastinate or settle for inadequate legal representation? As it pertains to a defense against allegations that are detrimental to your livelihood such as DUI, burglary or assault, why would you leave competency to chance? Can you really afford to take chances on an attorney without experience, little to no success, and / or ineffective methods? Instead, you should consider only a Baltimore attorney with the right experience, proven results, and a multitude of tactical law interpretations that can be applied to your case. 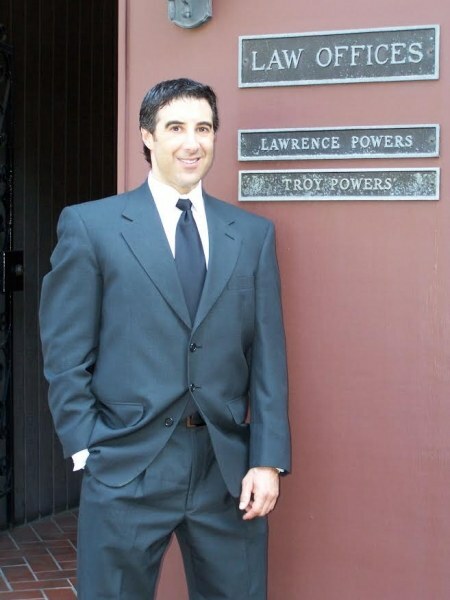 At Powers & Powers, you will be represented by a Baltimore lawyer with experience beyond that which can be found at many other law firms in the area. Here, you will be working with a professional who has earned respect in courts, with judges and among peers. We have established a reputation for success and developed a hard-nosed approach, aggressively fighting for each and every one of the clients who approaches our law firm for legal help. Whether you have been a victim of medical malpractice, or injured in an auto, truck or motorcycle accident we are here to fight for you. Our scope of practice does not discriminate, and when you contact our office, you will be provided with upstanding legal representation. With every case that our experienced Baltimore Attorney firm accepts, a customized approach will be designed to fit your specific needs. Medical Malpractice and Worker's Compensation will be treated with the same precision as an automobile, truck, or motorcycle accident. No matter what the nature of your unfortunate circumstances, we are prepared to thoroughly review your case and determine the best method for moving forward. Under our direction, you can feel confident in the skills that are being put to work in defense of the freedoms and rights that are on the line. Even for the toughest of cases and charges, our firm can be utilized. There is no case too major or minor when it comes to achieving justice under Maryland law.